How Do They Test For Fibromyalgia? Fibromyalgia (FM) is a painful and debilitating condition that according to medical experts affects at least ten million people in the U.S. alone. Researchers have discovered persistent toxicity and chronic stress to be the main causes of fibromyalgia. The exact statistics on how many people are actually suffering from this condition is unknown. 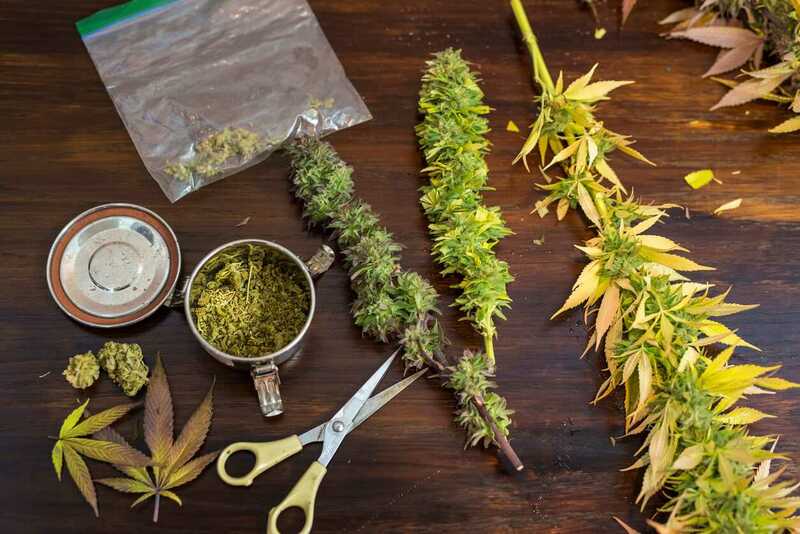 The last time the Centers for Disease Control and Prevention (CDC) reported on the number of people diagnosed with fibromyalgia was in 2005 – which at the time was 5 million cases. In a 2011 research paper, the world renowned fibromyalgia researcher, Daniel Clauw, M.D. reported: “FM remains undiagnosed in an estimated 75% of people with the disorder….it is thought that FM remains undiagnosed in as many as 3 of 4 people with the disorder.” So the prevalence of fibromyalgia may be as high as forty million people, just in the U.S. When a patient presents complaining of chronic widespread pain and fatigue, the first step is to rule out the most common disease processes that could be the cause of these symptoms. Routine laboratory testing of a blood sample can screen for the following common diseases that can cause widespread pain and fatigue: Lyme disease, Systemic Lupus Erythematosus (SLE), autoimmune disorders, connective tissue disease, hypothyroidism and other endocrine disorders , rheumatoid arthritis, polymyalgia, liver disease, and hypovitaminosis D (Vitamin D deficiency). In addition, neurological testing should be used to rule out Multiple Sclerosis. 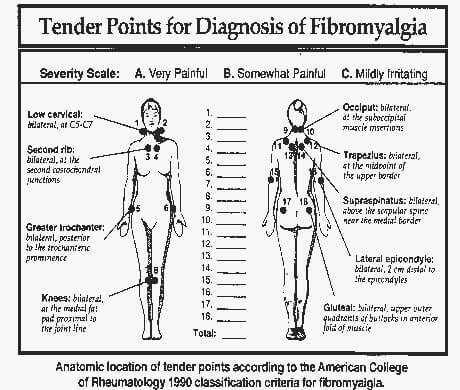 Once medical testing confirms the absence of the above conditions, then the American College of Rheumatology (ACR) diagnostic classification criteria can be followed for fibromyalgia diagnosis. Presentation of chronic widespread pain in all 4 quadrants of the body for at least 3 months. 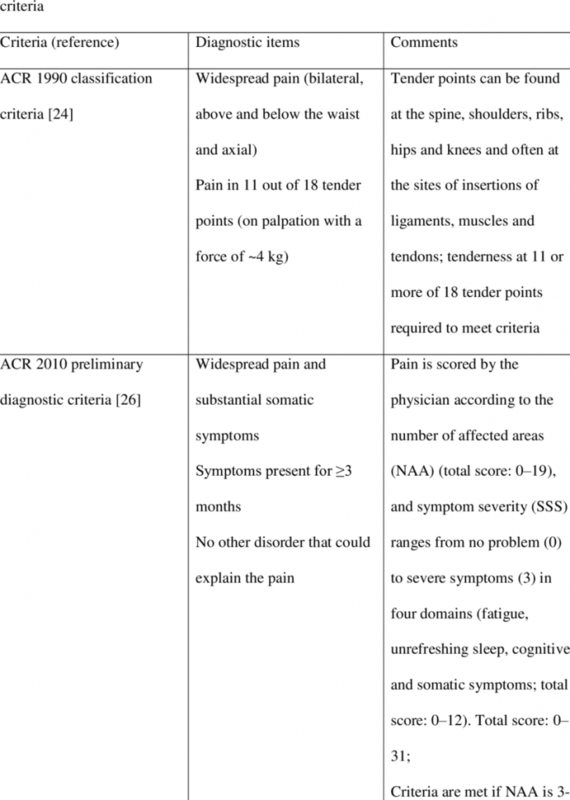 Widespread Pain Index (WPI) that assesses the number of painful body areas –The WPI is essentially a list of 19 different body regions, which is used to record the number of painful regions. Symptoms severity (SS) scale – The SS scale consists of categorical scales that assesses severity for fatigue, unrefreshed sleep, and cognitive symptoms, as well as the other somatic symptoms. 2. See a rheumatologist who is fully familiar with the American College of Rheumatology (ACR) diagnostic criteria for fibromyalgia.